Tart and tasty, these Lemon Ring Cookies are a departure from the traditional shortbread cookie. Packed with flavor and perfect for your Spring party! 1. In a medium bowl, combine the flour, cream of tartar, baking soda and salt. Set aside. 2. 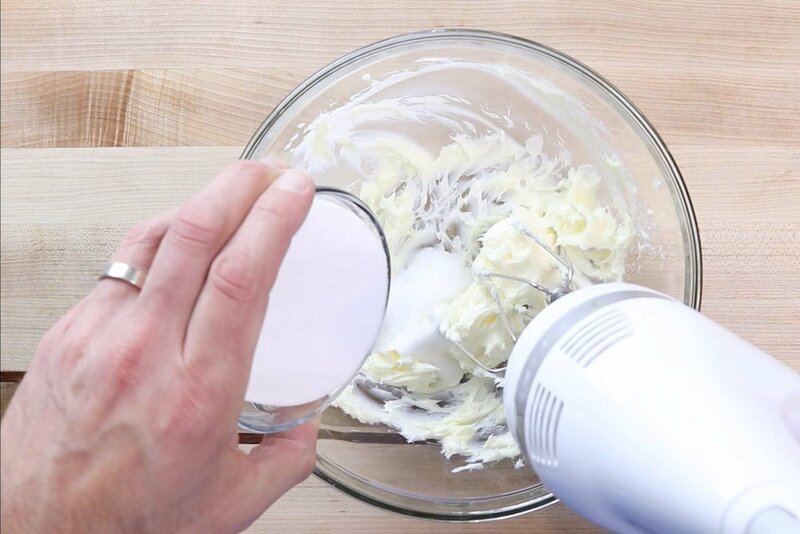 In a large bowl with an electric mixer or in a stand mixer, beat the butter until smooth and creamy. Slowly add sugar until combined. 3. Add the egg, lemon juice, lemon zest and almond extract and mix until incorporated. 4. Slowly add the flour and mix until just combined. 5. Add yellow food coloring if desired. 6. Cover dough and put in refrigerator for at least 30 minutes before shaping. Start making the lemon glaze. 7. In a medium bowl, beat the butter until smooth and creamy. Add the powdered sugar and continue mixing, scraping down the sides when necessary. Mixture will be dry and crumbly. 8. Add the lemon juice slowly until desired consistency is reached. 9. Divide glaze into two separate small bowls. In one bowl add the yellow food coloring. Divide glaze into two separate small bowls. In one bowl add the yellow food coloring. Transfer glaze into two small Ziploc bags and set aside. 10. Pre-heat oven to 350 degrees and grease a 12-count mini donut pan with baking spray. 11. When dough is chilled, remove from refrigerator. 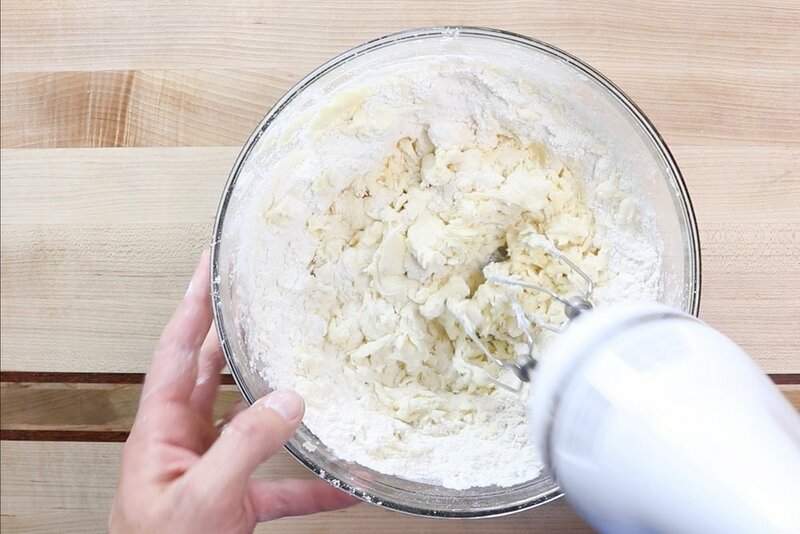 Add 1/4 sugar to a medium bowl to roll the dough balls. Scoop out a tablespoon of dough, roll into a ball and roll into sugar. 12. Work the dough ball between your hands making a 4” rope. Lay around the ring of the donut pan. Continue with the rest of the donut rings. 13. Sprinkle the tops with sugar, and bake for 9-11 minutes. 14. Remove from oven and let cool for 5 minutes before removing from donut pan to let cool on a wire rack. Let cool completely on rack before adding the glaze. 15. Cut a tiny hole in the corner of each bag of glaze. Drizzle each cookie with the white glaze and then with the yellow glaze alternating directions. 16. Let cookie set about an hour to allow the glaze to set. In a medium bowl, combine the flour, cream of tartar, baking soda and salt. Set aside. 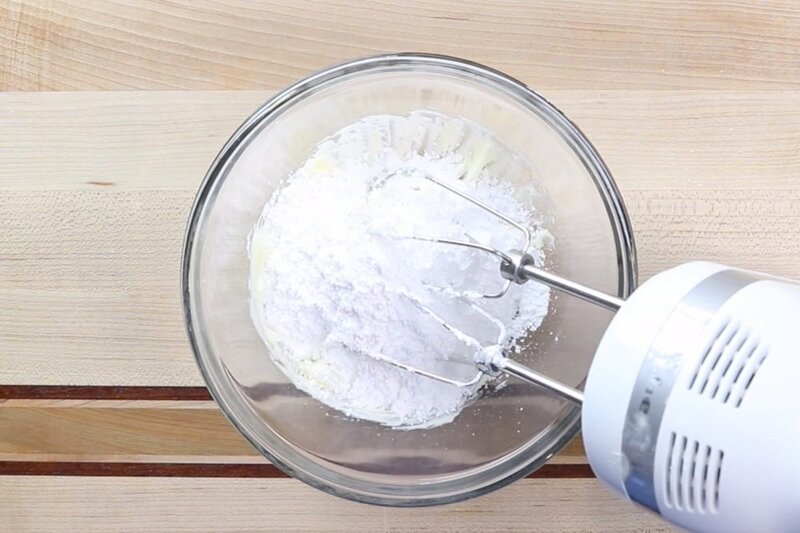 In a large bowl with an electric mixer or in a stand mixer, beat the butter until smooth and creamy. Slowly add sugar until combined. Add the egg, lemon juice, lemon zest and almond extract and mix until incorporated. Slowly add the flour and mix until just combined. Cover dough and put in refrigerator for at least 30 minutes before shaping. Start making the lemon glaze. In a medium bowl, beat the butter until smooth and creamy. Add the lemon juice slowly until desired consistency is reached. Divide glaze into two separate small bowls. In one bowl add the yellow food coloring. 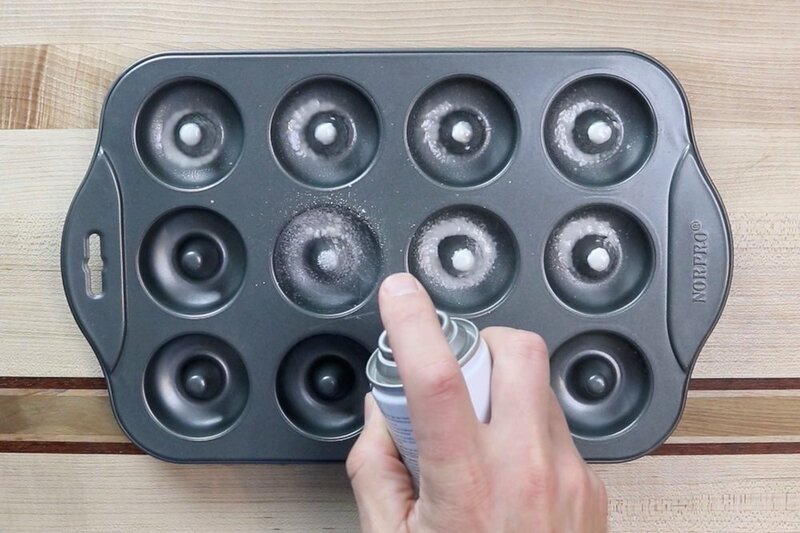 Pre-heat oven to 350 degrees and grease a 12-count mini donut pan with baking spray. When dough is chilled, remove from refrigerator. Add 1/4 sugar to a medium bowl to roll the dough balls. 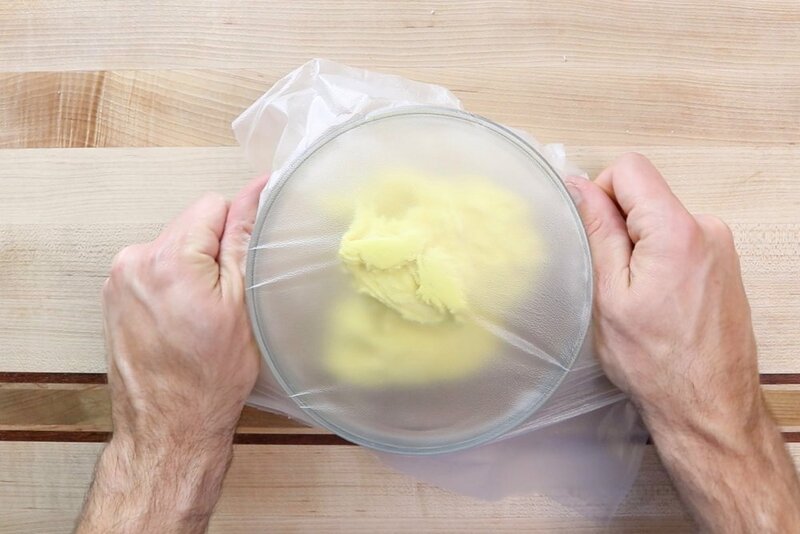 Scoop out a tablespoon of dough, roll into a ball and roll into sugar. Work the dough ball between your hands making a 4” rope. Lay around the ring of the donut pan. Continue with the rest of the donut rings. Sprinkle the tops with sugar, and bake for 9-11 minutes. Remove from oven and let cool for 5 minutes before removing from donut pan to let cool on a wire rack. Cut a tiny hole in the corner of each bag of glaze. Drizzle each cookie with the white glaze and then with the yellow glaze alternating directions. Let cookie set about an hour to allow the glaze to set.